Australia Intellectual Property. Drafted by Lawyers. Software Licence Termination Agreement (Australia) This Software License Termination Agreement is designed for use in all states. This form is available for immediate download. Trademark Cease & Desist Letter (Australia) This Trademark Infringement Cease & Desist Letter (URL/Web Address) is designed for use in Australia. This form is available for immediate download. Copyright Cease & Desist Letter (Australia) Copyright Infringement Cease and Desist letter for Australia. This letter is for use when your copyrighted work has been copied or used without your authorization. Research and Development Agreement (Australia) Research and Development Agreement for use in Australia. Domain Name Licence Agreement (Australia) Domain Name Licence Agreement for use in Australia. Royalty Agreement (Australia) This Royalty Agreement is designed for use in Australia. This form is available for immediate download. Service Mark Licence Agreement (Australia) This Service Mark Licence Agreement form is designed for use in Australia. This legal form is available for immediate download. Notice of Assignment of Patent (Australia) This Notice of Assignment of Patent is designed for use in Australia. This legal form is available for immediate download. Patent Assignment Agreement (Australia) Patent Assignment Agreement for use in all states and territories in Australia. Copyright Forms Combo Package (Australia) Get 4 forms for just $22.95. Save 54%! This Copyright Forms Combo Package is designed for use in Australia. This combo package is available for immediate download. Patent License Agreements & Assignments Combo Package (Australia) Get 3 forms for just $26.95. Save 55%! This Patent Licence Agreements and Assignments Combo Package is designed for use in Australia. This combo package is available for immediate download. Patent License Agreements & Assignments Combo Package (Australia) Get 3 forms for just $26.95. Save 55%! This Patent Licence Agreements and Assignments Combo Package is designed for use in Australia. This combo package is available for immediate download. Copyright License Forms Combo Packages (Australia) Get 5 forms for just $32.95. Save 53%! This Copyright Licence Forms Combo Package is designed for use in Australia. This combo package is available for immediate download. 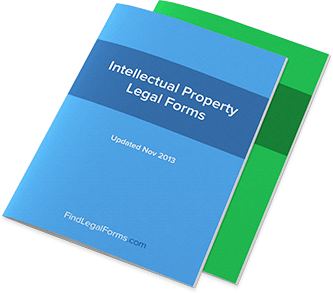 Intellectual Property Assignments Combo (Australia) Get 7 forms for just $38.95. Save 60%! This Intellectual Property Assignment Combo Package is designed for use in Australia. This combo package is available for immediate download.